O.G. truck! O.G. food! O.G. wicked wood-fired awesome! It all started with a boy, a bakery and a hankering for a dangerously delicious pizza to slay the late night munchies. Easily said, easily done. Wicked Wood Fired Pizza has been serving pies out it's O.G. trailer in downtown Fayetteville since 2013. 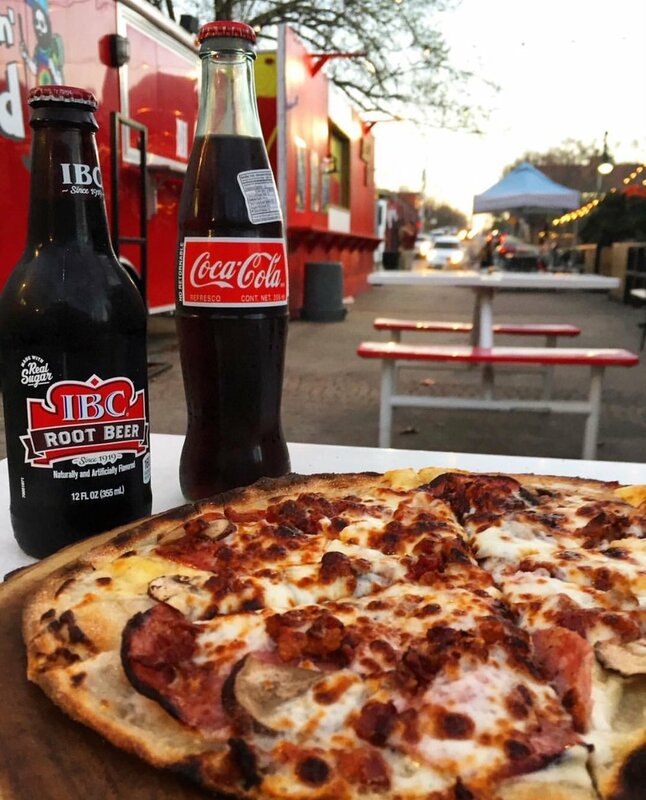 Ranked among the best in Northwest Arkansas, and inspired by wood-fired baking in a small town in France, these organic sourdough pizzas are forged in fire to be wicked good! Late night, when the stars are bright, W.W.F.P. serves customers year round and offers a variety of pies. From classics like the ooey gooey Seven Cheese and emblematic pepperoni, to new spins on tradition like the tangy BBQ Chicken or the feta-loaded Tuscan Chicken there's something to satisfy whatever craving is driving you crazy. 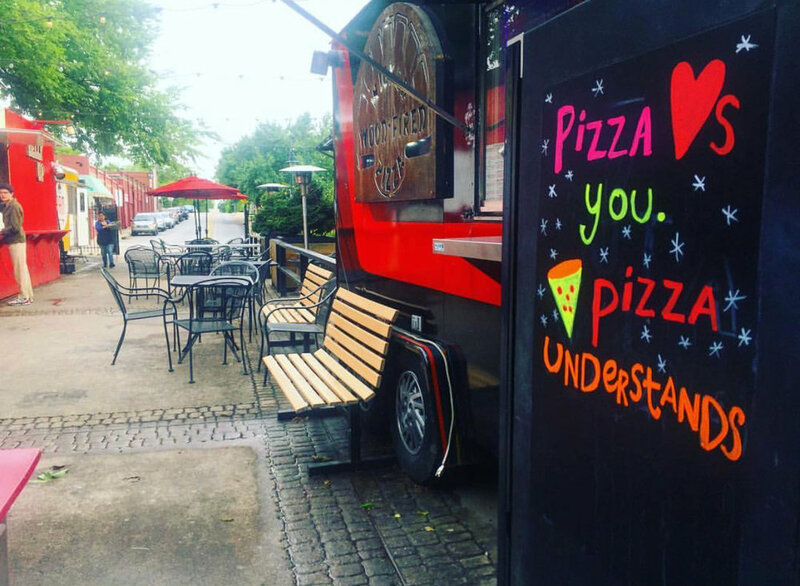 Some people say the best food comes out of a truck, and at Wicked Wood Fired Pizza, we say "dang straight!"